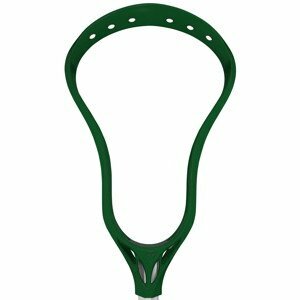 Best Lacrosse Rebounder of 2019 - Do NOT Buy Before Reading This! According to the NCAA, lacrosse is one of the fastest growing sports at high school level in the United States (1). It’s easy to understand why this is so, as it is a fast, exciting and highly competitive sport. 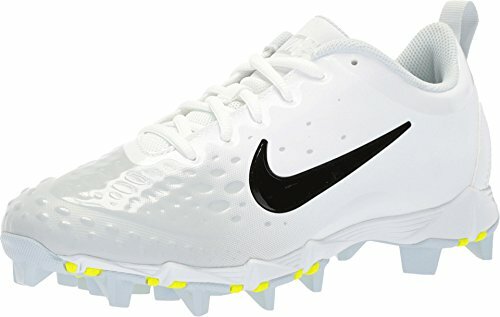 If you’re a lacrosse fan and want to improve your game, it may be time that you invested in the game. Find the best lacrosse rebounder, install it in your yard and practice right at home. You don’t need a partner! All you need is a little time each day and the will to improve. What Is the Lacrosse Rebounder? A lacrosse rebounder is made from a square or rectangular frame that contains a rubbery, elastic material on the inside. You stand the rebounder in your garage or yard, and you have a target ready to use. The rubber net ensures that every ball you throw at it rebounds back at you at fast speed. This allows you to practice your reactions, ball handling, and moves. You can change the angle of the net to change the trajectory. The tension of the net is also adjustable on some rebounders. This affects the speed and the deflection of the ball. A lacrosse rebounder is also known as lax wall or lacrosse bounce back. 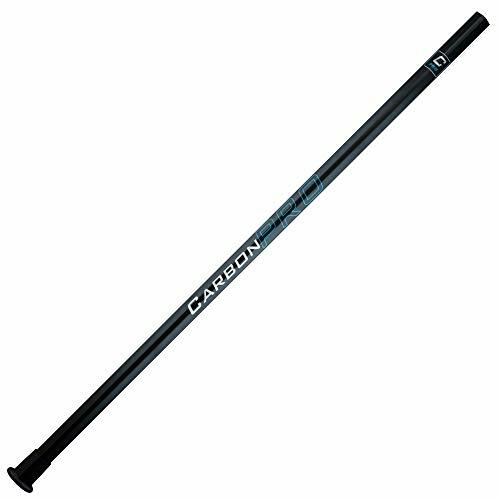 The Rukket is a large lacrosse rebounder measuring 4’ wide and 7’ high. It offers four angels so that you can practice all of your shots from the ground to overhead pops. The net has twenty square foot of rebound space for you to practice your lacrosse from any angle developing your ball skills. Additional bungees enhance the bounce back strength. Rukket specializes in the design and manufacture of sports nets. They know their business, and they don't disappoint with this net. This strong net is attached to a 1.25" metal frame which is powder coated and held together by heavy-duty carriage bolt fasteners. The bungees are protected by mesh so the net can endure the elements. Bungee fasteners are easy to set up making the net easy to assemble and disassemble without the need for tools. Ground stakes ensure that the net stays put no matter what you throw at it. The net comes with silicone protectors so it can be set up on an indoor court. Although the net is large, moving it around the location is not too difficult. If, however, you need to take it to another place, you'll require a big vehicle. Rukket covers this lacrosse rebounder with a 100% lifetime warranty that includes replacement parts. The product comes with a bag for transport and storage. The Rukket is a useful practice net for a variety of ball sports so the whole family can enjoy it. 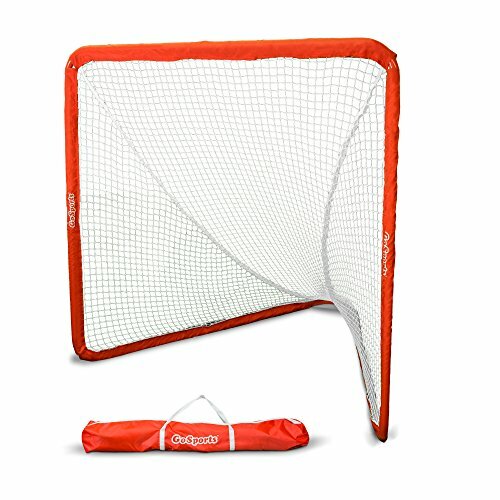 Recommended by professional lacrosse players, this massive lacrosse rebounder has a telescoping frame. It rebounds balls at any angle, so you get to practice a variety of shots including ground and high pops. 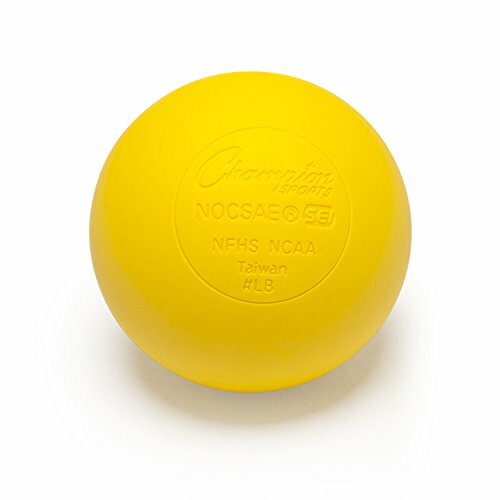 This durable product is suitable for many seasons of lacrosse practice. The 1.5” 17-gauge steel frame is powder coated a bright orange. The structure is cleverly designed so it won’t fall over no matter what the angle of the net or the shot that hits it. And, the mat is UV protected, so you don't have to worry about sun damage. The target area is a massive 6’ high by 4’ wide. It has twenty percent more playing area than most other rebounder walls. The trampoline mat has pro-steel springs that throw that ball right back at you. Patent pending technology makes this net easy to adjust so that you can try a wide variety of angles and shots. Despite its size, the rebounder folds up nicely for storage and carriage. Assembly of the EZ Goal rebounder should take no more than fifteen minutes. It comes with the required assembly tool. Once assembled it folds and unfolds in seconds using the patent-pending folding system. 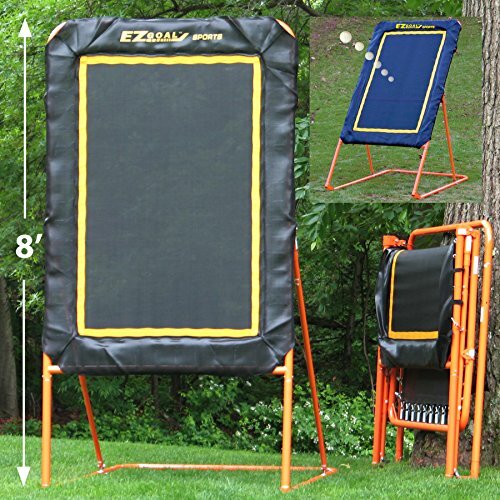 All parts on this rebounder can be replaced, and spares are readily available. The EZ Goal is covered by a one-year warranty. Frame and mat are UV protected. If there is a Lacrosse Rebounder you can trust, then it’s this product. You will have heard your coach say how important it is to use top quality equipment for training. When you spend one-hour training with this excellent lacrosse rebounder, it’s worth several hours playing on a typical practice field. 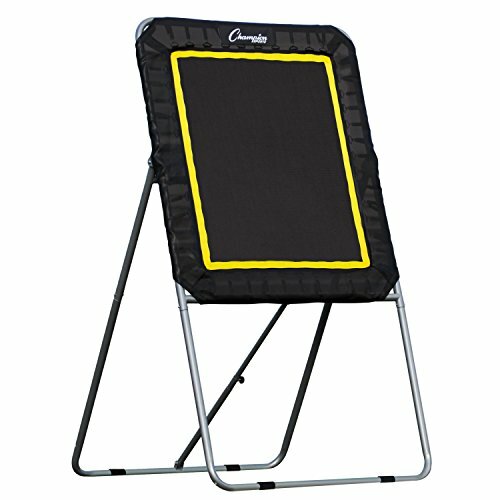 This rebounder is suited for all level of players, irrespective of skill level. Whether professionals or amateur, its multi-angle capability ensures you can easily modify the rebounder to suit your training needs. This product has five adjustable angles to choose from – without fuss you can field ground balls, pop-ups, and line drives as you play. In addition to a super easy setup process, and instructions on how to set your rebounder up in few minutes, hassle-free. Whether you are an entry-level or professional player, you can set up and be ready to play in no time. 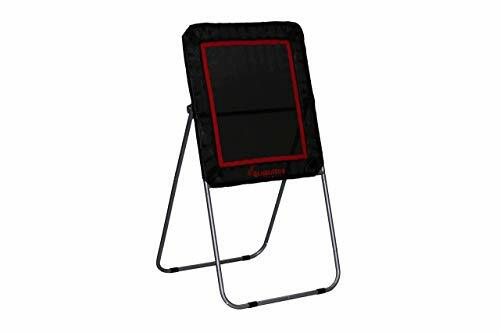 With an easily adjustable tightness, you can determine the level of strong bounce you require from this rebounder. Additionally, it has a target area of 4 feet wide by 6.5 feet covering over 25 feet surface area. And it allows you to enjoy top quality at a cost-effective price. With the Lacrosse Scoop Premium Lacrosse Rebounder, your satisfaction is guaranteed. 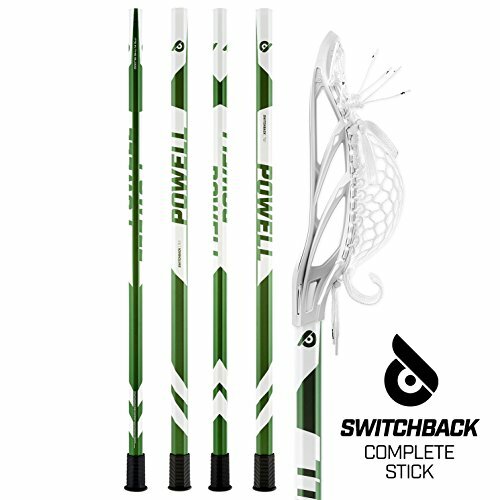 It is a state of the art piece of lacrosse equipment, and if you are not satisfied with the product for any reason, it has a 100% money back guarantee. The Gladiator has a standard 3’ wide by 4’ long net that is made from a nylon and cotton mix. The steel frame is powder coated and adjustable, allowing for different rebound angles so you can practice all your best shots and moves. It easily folds flat for storage or transport. The product is sturdy and well-constructed. It is also weather resistant. The rebound surface has been dampened so that it is an excellent choice for a small yard. Dampened rebound simulates the timing of the ball in a real game, ensuring that the ball does not return too quickly. The bounce back quality is excellent. This is an excellent net for those who don’t have a lot of space. It is easy to assemble as it has snap lock frames that quickly couple up. It comes with a training guide that will help you to improve your game. With a target area 3’ wide and 4’ high, the Champion is meant for small spaces and has shock absorbing surface that dampens the rebound. The rebound area has an easy to see target area that realistically returns the ball to you. 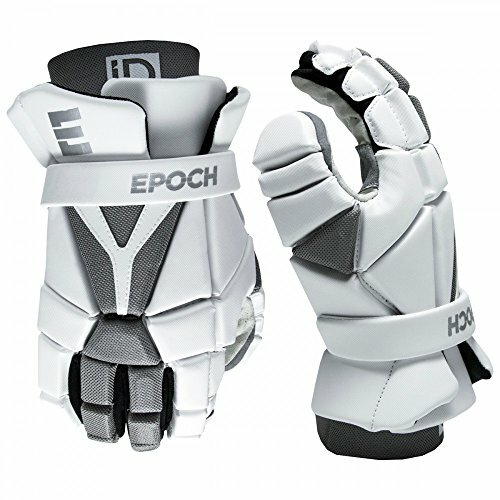 The product has been designed to accommodate all levels of lacrosse skills from beginner to advanced. This product has a durable and adjustable heavy-duty steel frame, giving you the opportunity to practice all of the maneuvers and learn the skills required to stop the ball however it comes back to you from ground skills to overhead poppers. The target is easy to set up on the field or in your backyard. It folds up flat for easy storage, but it is 8' tall, so you still need large to keep it. 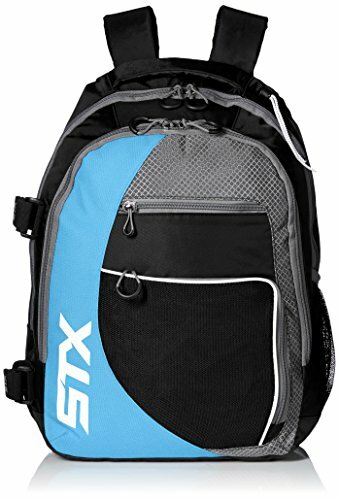 STX is a brand synonymous with lacrosse. 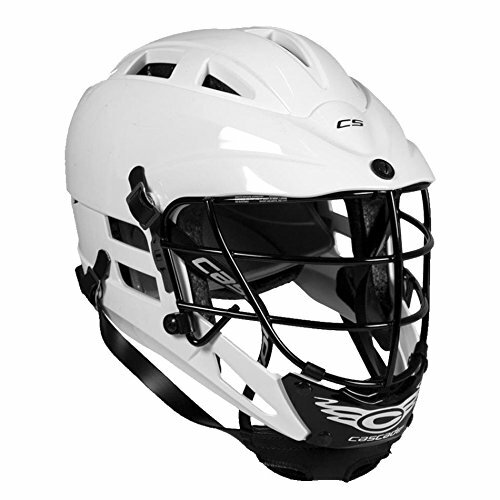 It is the world’s biggest manufacturer of lacrosse gear, making premium quality safety gear, sticks, and nets. 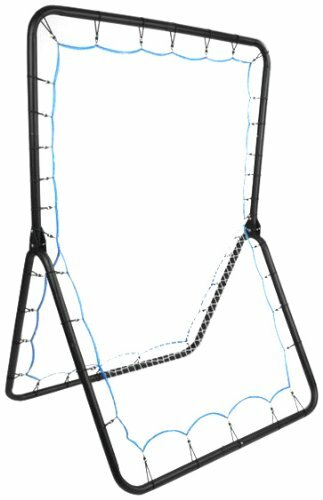 This double-sided lacrosse net has an adjustable steel A-frame. The strong net offers you the opportunity to practice all your moves and returns so that you can build up your lacrosse skills in the comfort of your garden. It has an excellent rebound action. Because it is double-sided, you have twice the practice area. Now two players can practice at once. The net is 5’ long and 3’ wide. It can also double up as a practice net for a variety of other ball sports. 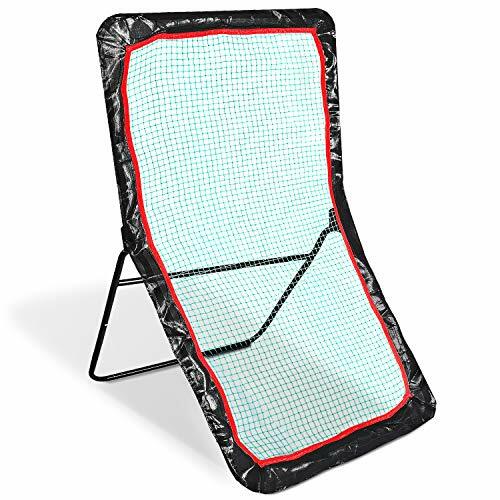 It has a durable steel frame, and a spring mounted net that is easy to assemble. The quick connect tools for assembly are included in the kit. 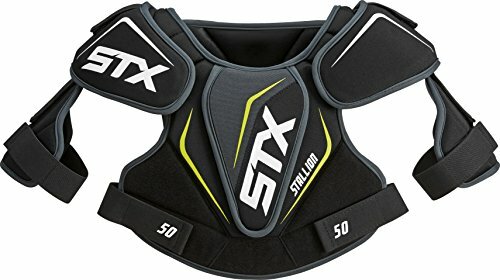 The STX is lighter than some of the other rebound nets on the market, so it is easier to move around. Despite this, the design is sturdy and robust. The product is cheaper than many of the other available options. The Rukket takes our vote as the best lacrosse wall rebounder on the market. It's generous proportions, and the design and manufacture of sports nets offer real value for money. Lifetime warranty policy, the ease of replacement of equipment and service quality gives The Rukket a special competitive advantage compared to other similar products on the market. Setup is easy, no stress, only once installed and it will work in long-term. What more can you ask for? PERFECT LACROSSE REBOUNDER for all skill levels. Extra bungees for incredible bounce back strength to practice every aspect of the game. 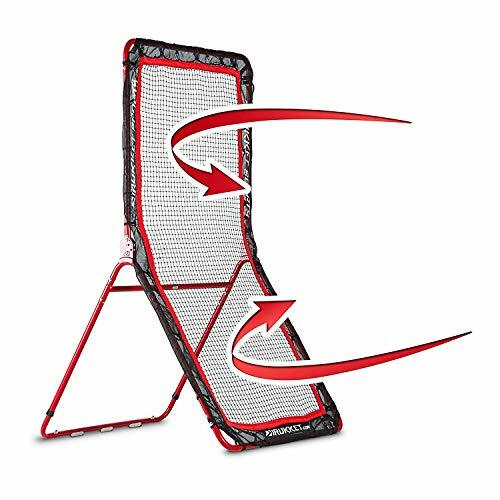 IMPROVE YOUR GAME FAST: With 4 attack angles, the Rukket rebounder training screen will give you the repetition to work on different techniques and take your skills to the next level. NOT A SINGLE "DEAD" AREA: At 4ft x 7ft our rebounder gives you more than 20 square feet of superior ball return surface, for whatever curve ball might be thrown next. BUILT FOR LONG-TERM OUTDOOR USE: 1.25 inch powder-coated metal frame, heavy duty carriage bolt fasteners, and mesh protected bungees ensure long-term outdoor use. You are likely to use your lacrosse rebounder for many years, so it is worth taking the time to consider your requirements before jumping into a purchase. Choose a lacrosse rebounder that is appropriate for your size and skills, and also the area that you plan to use them. Most rebounders are three feet wide and seven feet tall, but you do get bigger ones. The net usually covers an area of three feet by four feet. 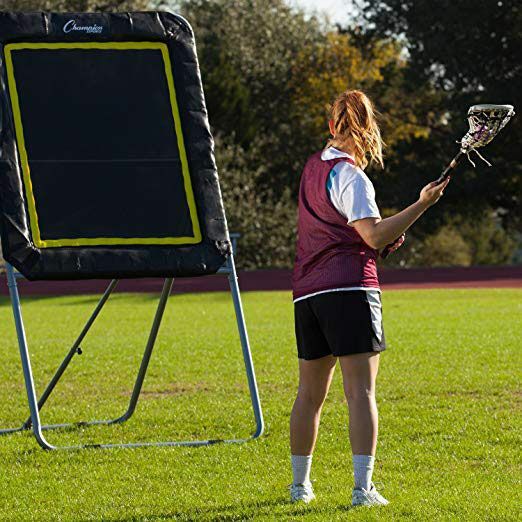 Some lacrosse rebounders have been designed for smaller spaces. On these rebounders, the frame is typically small, and the rebound is dampened. Most nets start at three feet as this is the best height for practice. There are others that begin on the ground. These may be easier for children to practice on. Ground-based nets are also suitable for practicing other sports so they can be fun for the whole family no matter what their sport preference. These are large nets, and since the frames are made of steel, they can be very heavy. A folding lax wall is so much easier to store when you are not playing. Although many of these nets are weatherproof, it is always best to pack them away when they are not in use. The angle of your rebounder will determine the return of the ball. 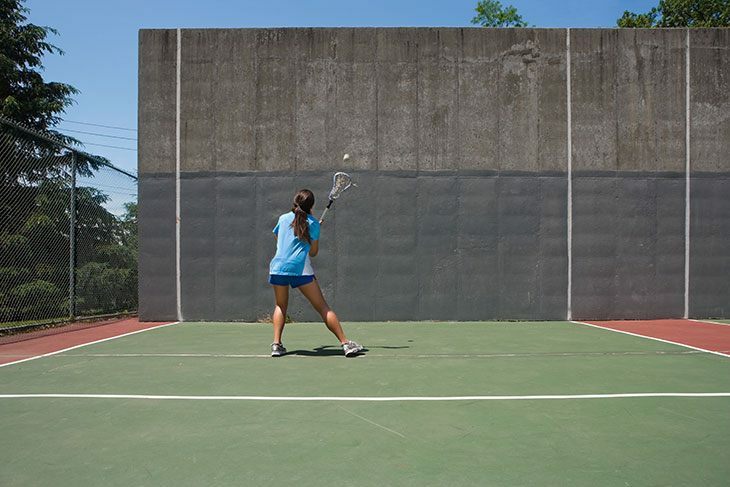 If you want to practice a variety of shots, you should find a lax wall with adjustable angles. This way you can practice everything from ground shots to high passes. A rebounder that is perpendicular to the ground will return ground balls. More of an angle will produce a larger arc. 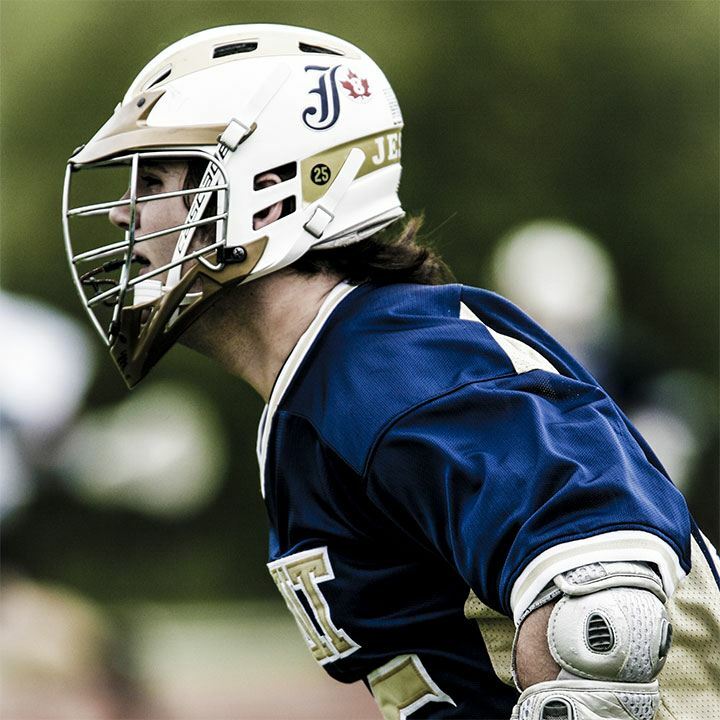 The more advanced you are at playing lacrosse, the more critical the angle adjustments become as you will surely want to practice all possible shots. You’ll want to practice for years into the future. Make sure that you buy the best lacrosse rebounder that is made to last. One that features a steel frame which is powder coated is the best option. Some of the nets are also made with UV protected material that can withstand sun damage. How much are you prepared to pay. The prices of lacrosse rebounders vary considerably. What warranty does the product have? If you're a keen lacrosse player, you probably want to get as much practice in as possible and move up the ranks. It is not always easy to find someone to play with, but if you have the best lacrosse rebounder, you can practice all on your own.